Mary Kay will be celebrating her 50th anniversary this year and to commemorate the event, the brand will be holding the One Woman Can Beauty Contest. 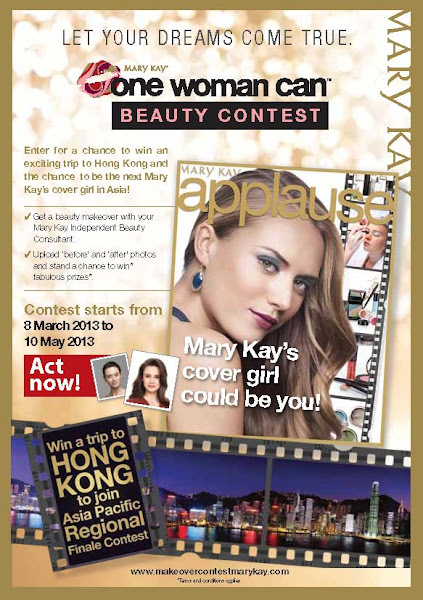 This contest witnesses the transformations of Malaysian and Singaporean women through exciting makeover sessions by Mary Kay. And at the end of it, 5 women will get to go on an all-expenses paid, 4D3N trip to Hong Kong to attend the star-studded grand finale, where all the winners from the Asia Pacific region will vie for the coveted Mary Kay Asia Cover Girl title.